If you haven’t been happy with your marriage for a long time, you might consider divorce as a viable option. For most people, however, the prospect of divorce is a difficult one to face. Not only is it hard for married people to imagine life outside of marriage, merely bringing up divorce in conversation is a serious challenge. If you’re struggling with how to tell your spouse that you want a divorce, hire a divorce attorney and consider the following tips. Before you share your feelings with your spouse, make a plan for how you will proceed immediately after your conversation. You may need to make arrangements to stay at a hotel or with friends or family members. If you have children, make sure they will be taken care of as you begin the divorce process. Try to reserve a couple of quiet hours for your divorce conversation. If possible, choose a stress-free time in which you don’t have any pressing obligations. It’s a good idea to have your discussion when your children are away so they don’t get involved in the initial conversation. When you’re ready to begin the conversation, calmly state your dissatisfaction with your marriage and that you will be filing for divorce. There’s a good chance that your spouse will take the news poorly and begin making accusations. Avoid the urge to defend yourself or make counteraccusations—instead, simply state your feelings and listen to your spouse. If you’ve reached this point, you may have already tried separation, marriage counseling, or a number of methods to fix your marriage. Your spouse may attempt to guilt you into keeping the marriage intact. If you’ve already tried to save the marriage, and if you truly feel as if divorce is the best way forward, do not retreat. 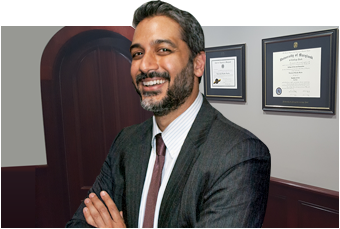 A skilled divorce attorney can help you with the rest of the divorce process.